I wonder daily at how I managed before i-everything. Blackberry(old-school) would never have done what we can do now and good suppliers are sending out great applications to make our jobs WAY easy! 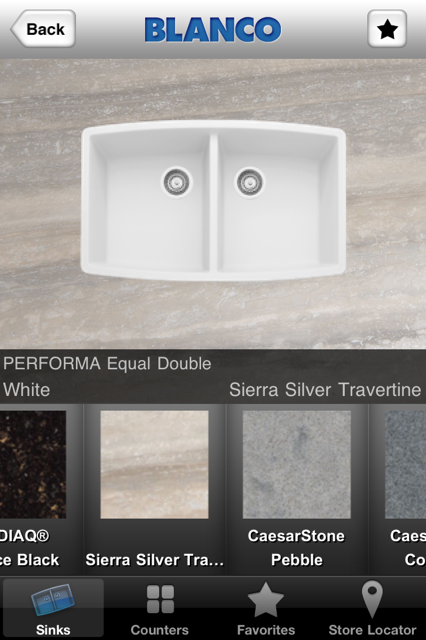 BLANCO is one of my personal favorite sink lines. 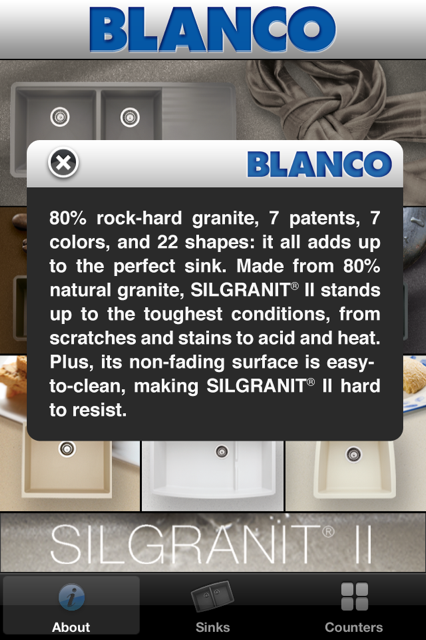 Recently, BLANCO launched an app that allows users to compare it's SILGRANIT II sinks with various counter surfaces. 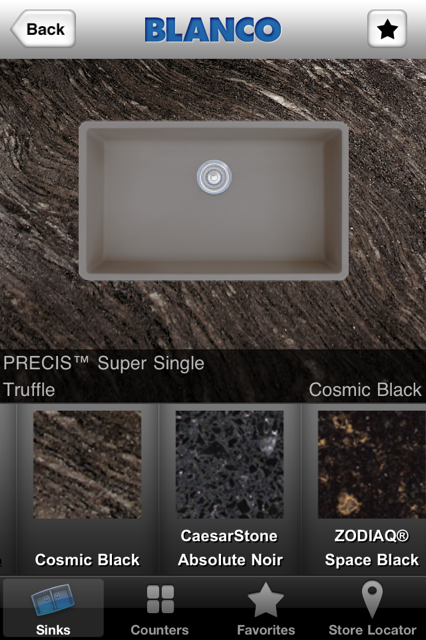 As you can see, you can mix lots of BLANCO SILGRANIT II sinks and counter materials! 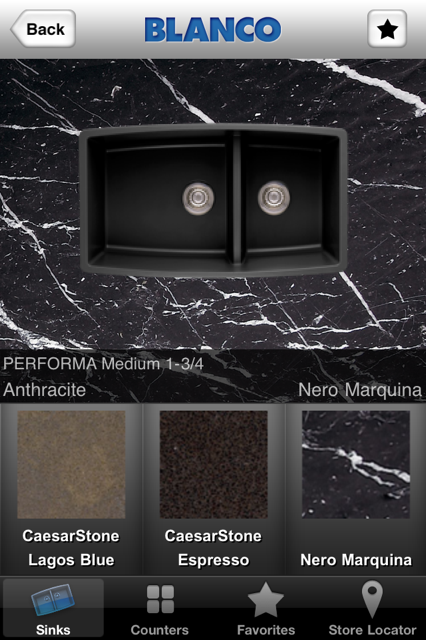 Go ahead and download the BLANCO app now. It's free today, but it may not be for long!